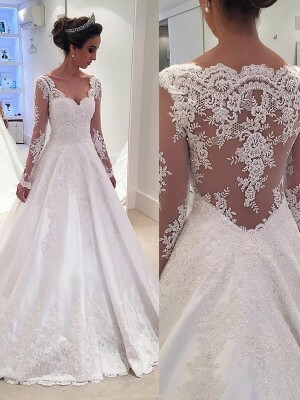 Amazing dress, fits perfect, extremely excellent quality, beyond expectations, WOW!!! 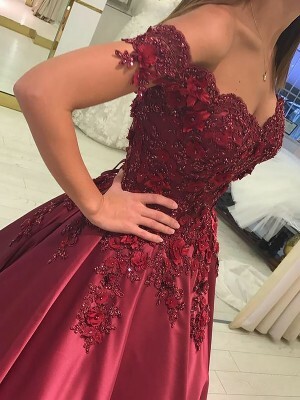 I ordered my "custom made" dress for my daughters june wedding in feb. I received the dress middle of March and its ABSOLUTELY BEAUTIFUL. Fits perfectly. I'm so happy with it. This company is the best company I have ever dealt with!! I e-mailed customer service with some questions regarding measurements and they were expedient and knowledgable with their replies. Keeping me posted on the progress of my order and reassuring me that my dress would be delivered in plenty of time! I would HIGHLY recommend this company to anyone that is seeking professionalism at its BEST!!! I like the dress very much, very good quality, love the material! delivery is very fast. will order from hebeos again in the further.? Finding hebeos was one of the best thing. I cannot tell you that this is the best wedsite, I will recomed it to anyone, great price and great customer service, quick respond on any issue if you have any. Please if you need anything hebeos is the place to shop.